The iPhone 8 and its OLED screen may be hard to get your hands on when Apple unveils the new phone later this year. But if you’re willing to wait a bit — say, until 2018 — every iPhone 9 will feature an OLED panel. 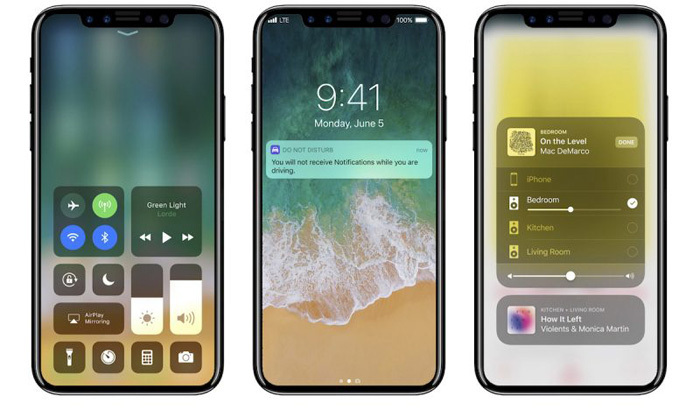 Apple’s long been expected to release the iPhone 8 with an OLED screen, though the phone maker is also likely to keep LCD-based phones in its lineup this fall. In part, that will allow Apple to continue offering phones that cost about the same as the iPhone 7 and iPhone 7 Plus, even as the OLED-equipped iPhone 8 is expected to cost upward of $1,000. Also, with demand for OLED panels out-stripping supply, coming out with just one model featuring an OLED screen helps Apple manage its inventory. Even then, the iPhone 8 is expected to be in short supply this fall. But if Apple continues to offer three phones, you should be able to get an OLED screen for a more affordable price next year. OLED panels offer richer colors, deeper blacks and better viewing angles than traditional LCDs. It’s one area where Samsung Galaxy S8 holds a clear edge over Apple’s smartphones. So upgrading the phone to OLED should be a no-brainer for Apple if supplies allow the company to make the move. Nikkei Asia Review’s report isn’t the first time someone’s claimed Apple will go to an all-OLED lineup in 2018. Back in May, South Korea’s ET News reported much the same thing, though the new report seems more definitive about Apple’s plans, even if Apple remains characteristically tight-lipped about its future phones.